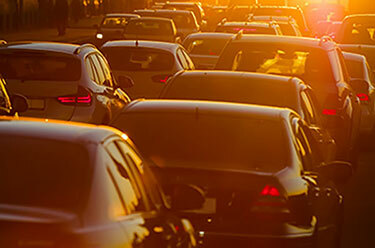 Houston, TX (April 8, 2019) – On Saturday morning Katy Freeway was shut down for hours after a fatal four-vehicle collision. The accident occurred around 3:00 a.m. on Katy Freeway (I-10) near the Studemont exit. Traffic was at a standstill due to an earlier crash on the freeway, when a red Toyota Camry was traveling eastbound on I-10 slammed into the back of a blue Mazda 3. As a result, the driver collided into a white GMC Canyon. In addition the driver of the Camry hit a tractor-trailer truck that was also stopped in traffic. The driver of the Mazda died at the scene. The victim has been identified as 46 year old Luis Torres. The driver of the Camry has been identified as Sheila Brown. Ms. Brown tried to leave the scene on foot, but was later caught by police officers. She was transported to Memorial Hermann Hospital with a minor leg injury. Ms. Brown has been charged with failure to stop and render aid and intoxication manslaughter. Her bond is set at $60,000. The driver of the GMC and the 18-wheeler were not injured. Police reports will be made available in ten days.